A board certified neurosurgeon, Dr. Ditsworth developed the Non-Traumatic Discectomy for treating herniated and bulging discs in the spine. 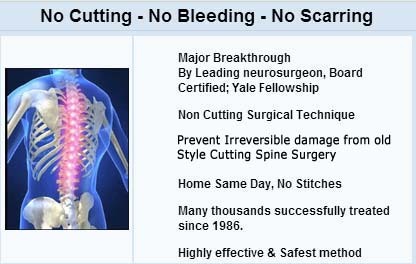 In contrast to traditional approaches to spine surgery, which frequently do damage to a healthy spine, this procedure truly is "minimally invasive." 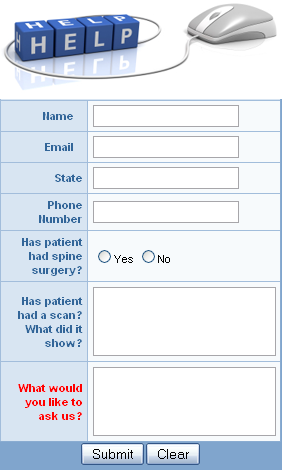 Dr. Ditsworth has been on staff at Cedars Sinai Medical Center since 1983. He has written more than 40 peer reviewed abstracts, articles, and book chapters. 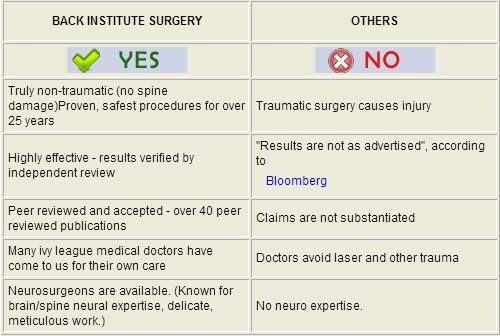 And he is a member the Congress of Neurological Surgeons. Dr. Ditsworth completed an accelerated program for his bachelor's degree and his medical degree from the University of Utah, School of Medicine Honors Surgery Program. He completed an internship at University of Miami, Jackson Memorial Hospital. 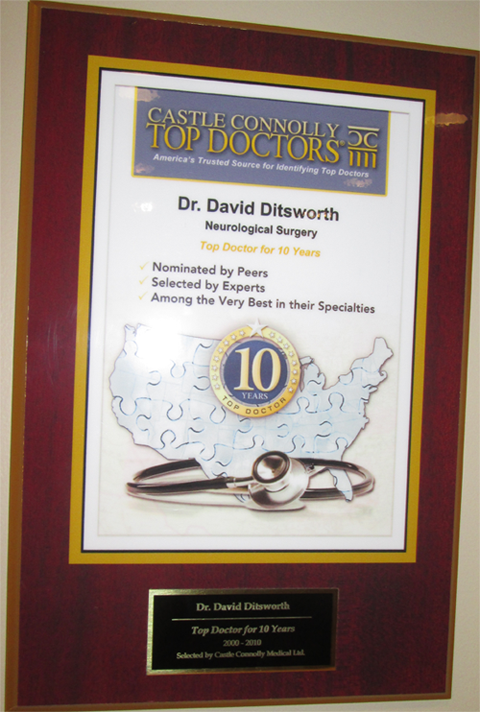 Dr. Ditsworth then went on to do a fellowship in neurosurgery at the Yale University School of Medicine. He did his residency in neurosurgery at the University of California, Irvine School of Medicine. Dr. David Ditsworth developed the Non-Traumatic Discectomy for treating herniated and bulging discs in the spine. 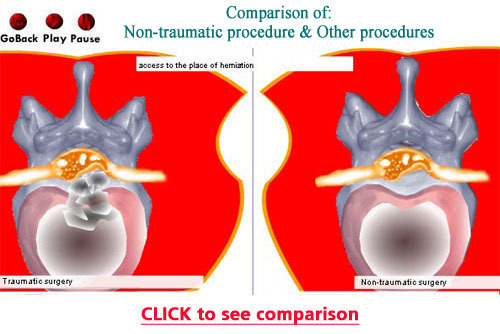 This procedure is beyond "minimally invasive". Dr. Ditsworth is only available by special request.